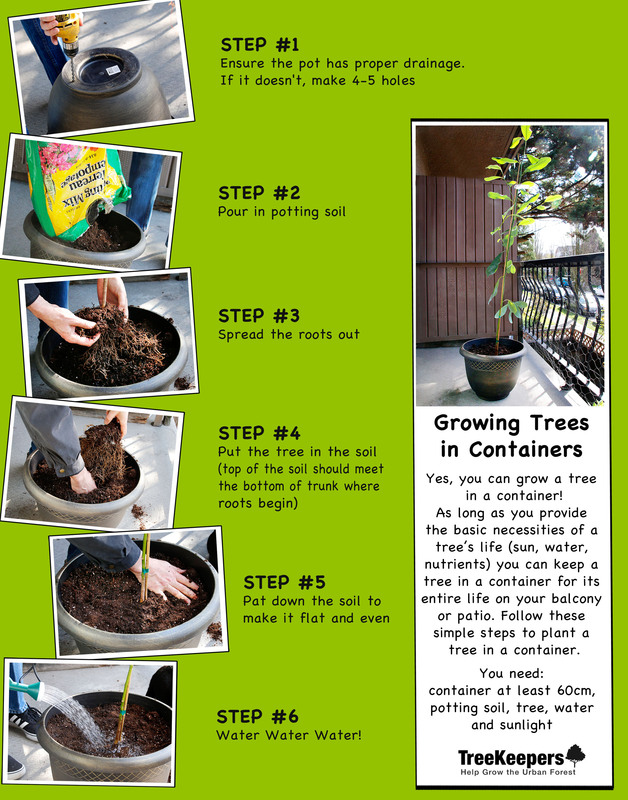 Do you live in an apartment or condo and want to grow a tree? Well, you can! As long as you provide the basic necessities of a tree’s life (sun, water, nutrients) you can keep a tree in a container for its entire life on your balcony or patio (some bonsai trees have survived more than a century in a shallow dish of soil). When choosing a pot, bigger is better — trees in smaller pots must be tended more frequently to keep the roots from drying out. A pot about 60cm in diameter will be big enough. Use light and well-draining potting soil. Avoid using garden soil which has too much clay and will get brick hard in a dry spell. 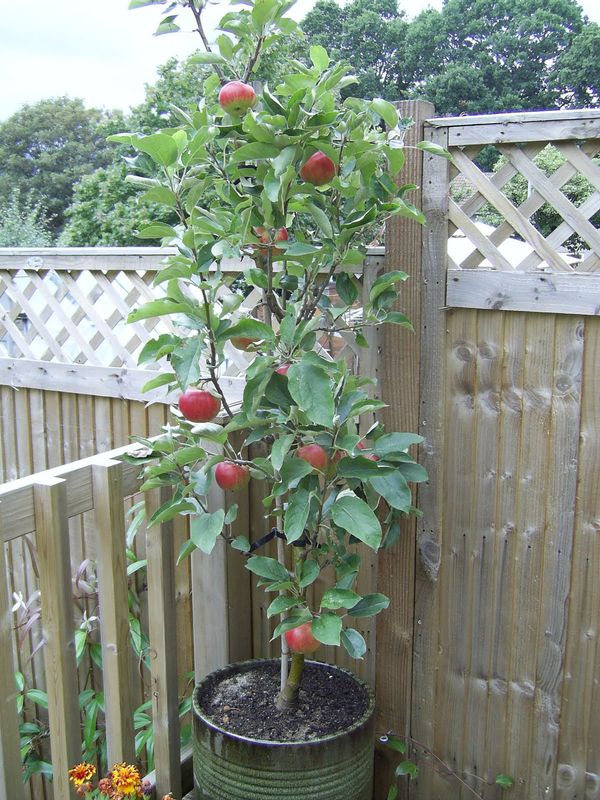 As the roots begin to outgrow their space in two to three years, empty the soil and either re-pot into something bigger or prune the roots. 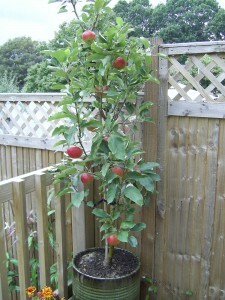 Add new potting soil and presto, your rejuvenated tree is growing once again! Spring 2015 choices that will be happy in a container include: apples, figs, Japanese Maple, Smiling Forest Lily Tree, Rose of Sharon, Leonard Messel Magnolia and Chinese Fighazel.